Let’s start the new year right. Let’s start it by giving thanks for a wonderful 2015 that was chock-full of topnotch hoops action. Let’s go position-by-position and look at the best of 2015 in college basketball. In this post, I will talk about the guys who did really well in the collegiate circuit (UAAP or NCAA only, since I’m not very well-versed in other leagues. I don’t want to be that pretentious.). Perhaps they led their teams to league titles. Perhaps they led their respective leagues in a certain statistical category. Perhaps they made history. Perhaps they did all of those things. 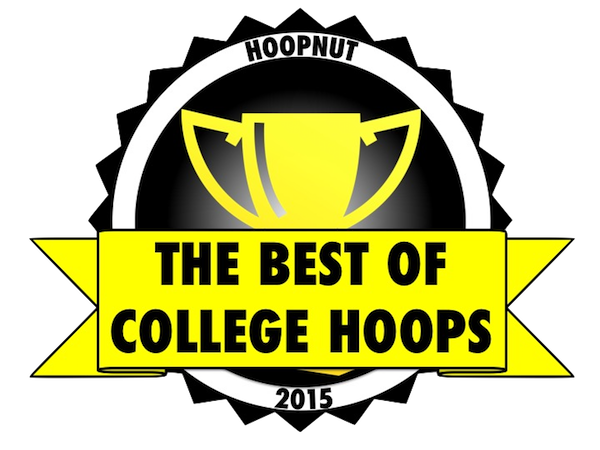 Here are the best of college hoops from 2015! - He’s a 6’9 Nigerian who entered this season with nary any fanfare. He was supposed to be just a rebound-and-block kinda guy. He wasn’t supposed to be the Defensive Player of the Year, Rookie of the Year, and Most Valuable Player of the NCAA’s 90th Season, but, heck, here we are, living in a world where Allwell Oraeme of the Mapua Cardinals, who finished dead last in the team standings and didn’t even win 5 games, is all of those things. Surround this guy with a lot more talent, and Mapua makes the Final Four or maybe win even the whole damn thing. - Arthur Dela Cruz and Prince Rivero are pretty awesome, but Mac Belo is on a completely different level. He is solid as solid goes, and he is perhaps the most pro-ready collegian out there. Heck, he was already pro-ready in Season 78, and he sprinkled more fairy dust on his stock by leading FEU in its historic title run this year. Is he the second coming of one Arwind Santos? Maybe not yet, but he certainly has the tools. - Ferrer was already very good, but he made a huge leap this season to become an outstanding player. He was so good even Season 78 MVP Kiefer Ravena had to let everyone know he couldn’t let this year pass by without having his friend and perennial rival as a co-MVP. Ferrer has had so many YouTube-worthy moments this past season, and he is definitely poised to have more when he makes another leap, this time to the PBA. - Say what you want about Ravena’s volume shooting and occasionally erratic decision-making. There is no doubt in anyone’s mind that this kid is maybe the most confident guy on the floor at any one time. He thrives on that, and on most nights his game is a testament to his greatness. Ravena has ruled every floor he’s played on (he has even ruled social media), and it shouldn’t come as a shocker if he rules the PBA hardwood as well. As i receive my award later this afternoon, ill already wanna say my thank yous. ✌🏽️ Thank you Lord! Not for the b2b awards but for giving me the best 5 years a collegiate player could ever experience. You helped me win and you were there when i lost. Thank you for making me stronger as a player and for making me even stronger as a person. To my parents, ma and pa, alam ko i had my sutil moments but when push comes to shove nandun kayo para sa akin. Sa lahat ng sinabi ng tao sakin and sa family natin, naging matatag tayo and importante naging mabait pa rin tayo sa kanila. Kay @ravenamozzy na talagang kumapit sakin at nagtiwala hindi niya alam, yung kumpyansa at tiwala ko sa sarili, sa kanya ko lang kinukuha. Sa mga kapatid ko, kay @3rd_e and @daniravenaaa nakita talaga nila ako at my highest of high and lowest of lows. Sila rin yung nandun para sa akin. Kay boss MVP sa patuloy na pagsuporta sa team. Naramdaman talaga namin yung presence niyo kasi kaming mga player sobrang secured under your management. 🙏🏻 Tita Debbie and tita mita, for being our second moms. Sa pag aaruga, pagtitiis at pagmamahal na binigay niyo samin. Being away from our families never felt so hard with the care and love you gave us. Coach Bo and His coaching staff, Thank you for being patient with me althroughout my college career. It was a pleasure sharing the smiles, tears, pressure, praises and criticisms with all of you. It made winning even more fun. To my teammates, pasensya na sa init ng ulo at maraming salamt sa kulitan at tawanan! Sana may naiwan naman kami sa inyo kahit papaano. 🙈 Samga fans ko, @kiefpeeps @dors1401 @jhonaaa_ @mariapewy , sana hindi tumigil yung suporta niyo sakin. Its just the start of a lifelong friendship that i will always treasure. ☺️ Sa Ateneo community, sorry we werent able to win it all. But we gave it our all. For you guys, i fully understood that the game of basketball is played not for the name at the back of your jersey but for whats in front. ATENEO. I may had scored career high points but at the end of the game, its all about getting that W. Sa mga endorsements ko, Nike (@jappyparulan @jinoboy5 @tonyatayde ) for trusting me as a 13 yr old mutt to carry. 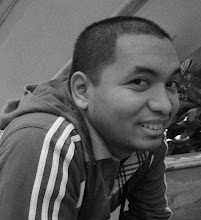 - I loved Gelo Alolino. Loved Baser Amer. Loved Jio Jalalon. But I couldn’t take any of them over Earl Scottie friggin’ Thompson. I’m cheating a little bit here because Thompson is a bit of a tweener at the guard spot for the Altas, but, again, it would be an absolute injustice to leave him out. He has been a superb workhorse for UPHSD and has also become a crowd favorite for Ginebra in the pros. There really is nothing more to say. - This was a toss-up between coach Nash and coach Aldin, but in the end, I just had to pick the Letranista who had much much less to work with compared to the more ballyhooed teams in the UAAP and NCAA. I mean, who seriously had Letran being a title contender in Season 90? I also had to pick coach Aldin because he was making the headlines even after the Knights’ title run, especially because of his decision to jump ship and trade his “Arriba!” for DLSU’s “Animo!” Oh, and I’m sure you’ve also heard/read whispers of a couple of Letran players maybe joining him in Taft, right? - Letran and UST had their feel-good Cinderella stories, but FEU lived up to the hype. The Tamaraws, for the first time in 10 years, didn’t succumb to the pressure of being a topnotch program. They met everyone’s expectations, and how! It seems like a copout to give the consensus deepest college team out there the label of “Best College Team in 2015,” but to do otherwise would also mean lying through my teeth. FEU was dominant practically throughout their twin title runs in the UAAP and PCCl/NCC. This was FEU’s year, and something tells me they will come back for more next season. Pagkatapos macorner ng sampung taon ang TAMARAW.natutunan at nakuhang muli MANUWAG ng #TAMARAW para kunin ang KAMPEONATO ngayung #2015! CONGRATS! #feutamaraws! CONGRATS to all the coaches of FEU and to all players also CONGRATS! At sa lahat ng sumuporta sa FEU at nagdasal salamat sa inyo.GOD is GOOD all The TIME! In our next post, we’ll look at the best of the PBA from 2015.